Looking for an easy appetizer for your holiday party? Or to take along to a family gathering? 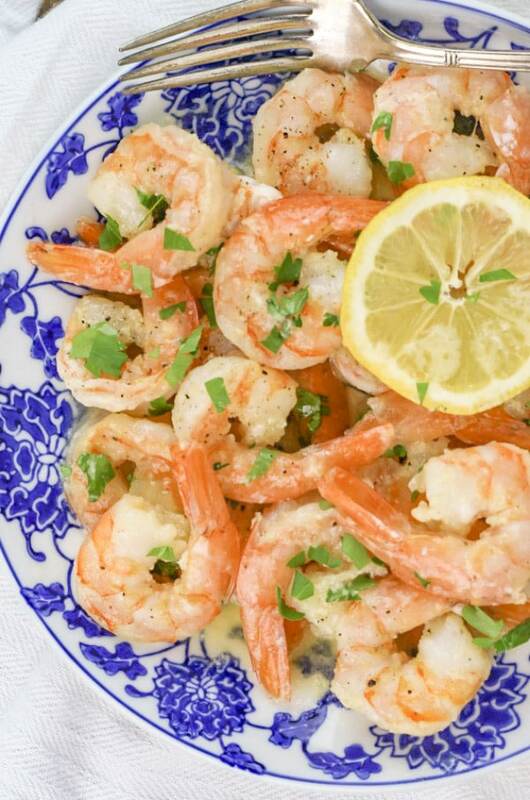 You’ll love these Garlic Parmesan Shrimp. Flavor packed and only take about 10 minutes to make. 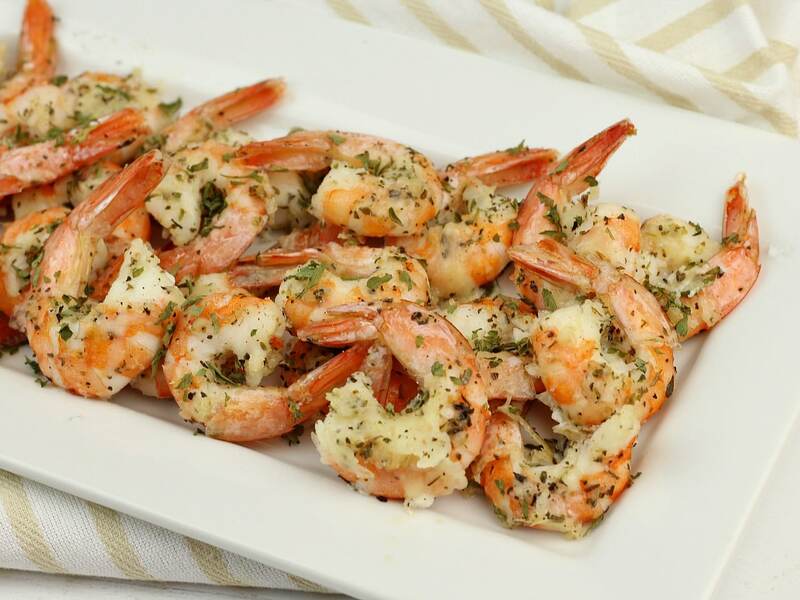 This Garlic Parmesan Shrimp is a great party food. Not only does it have phenomenal flavor it looks really pretty on your table. In fact it’s so impressive your guests will never suspect you didn’t spend hours slaving away in the kitchen. That’s pretty awesome, right? You don’t have to wait to have company over to enjoy this shrimp. We actually enjoy this recipe for dinner. 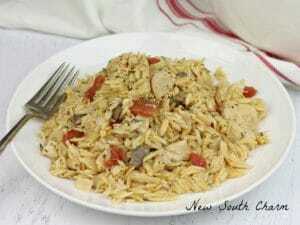 It’s a great main dish what pairs nicely with rice or even just with a simple veggie or salad. I bought the shrimp peeled and deveined if you’re going to peel the shrimp yourself you’ll want to allow an additional ten or fifteen minutes to you prep time. In a bowl combine olive oil, parmesan cheese, oregano, basil, onion powder, salt and pepper. Then gently toss the shrimp in the mixture to coat. Next, spread the shrimp in a single layer on a baking sheet that’s been treated with nonstick spray. Place the shrimp in a 400º oven for 6 – 8 minutes or until the shrimp is firm and pink Then, squeeze the juice of one lemon over the shrimp and garnish with parsley. In a bowl combine olive oil, garlic oregano, basil, onion powder, parmesan cheese, salt and pepper. 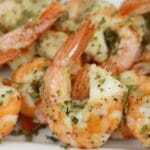 Squeeze the juice of one lemon over the top of shrimp and garnish with parsley if desired. 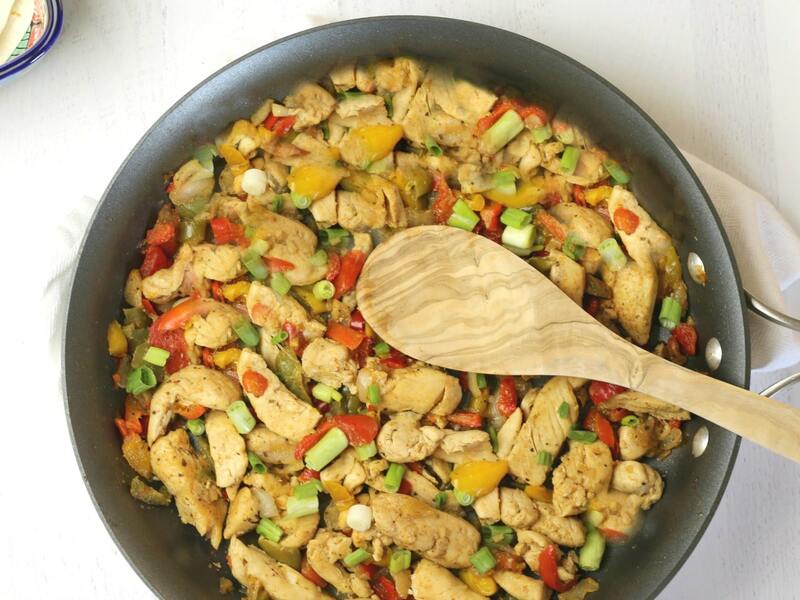 Looking for more fast easy dinner ideas? Ooooh, yum!! 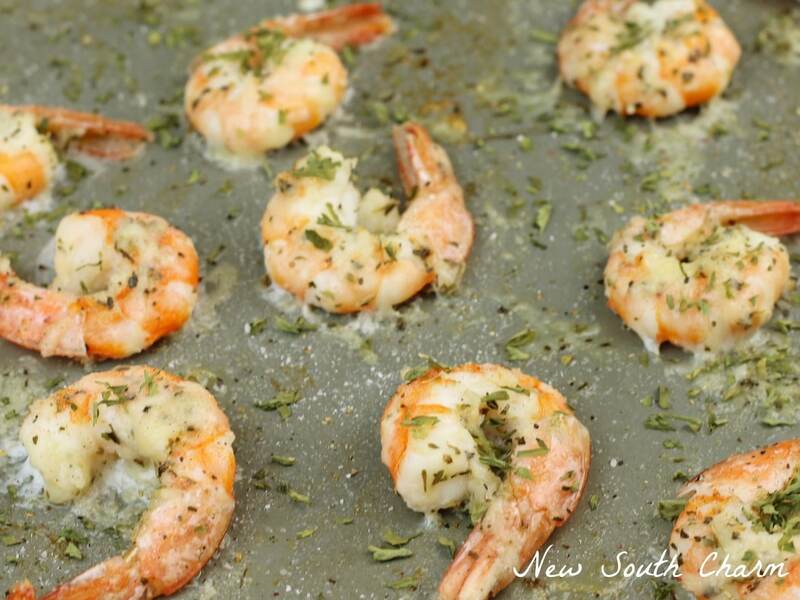 We love shrimp (and garlic and parmesan!!) These look delicious! I was looking for an appetizer to take to a girlfriend party and here it is!! So easy, and they will be so impressed that I brought shrimp! Thanks for sharing it. Forwarding this to my sister. She is making shrimp for Thanksgiving as a snack and this sounds amazing! Thanks for sharing this at the DI & DI Link Party. 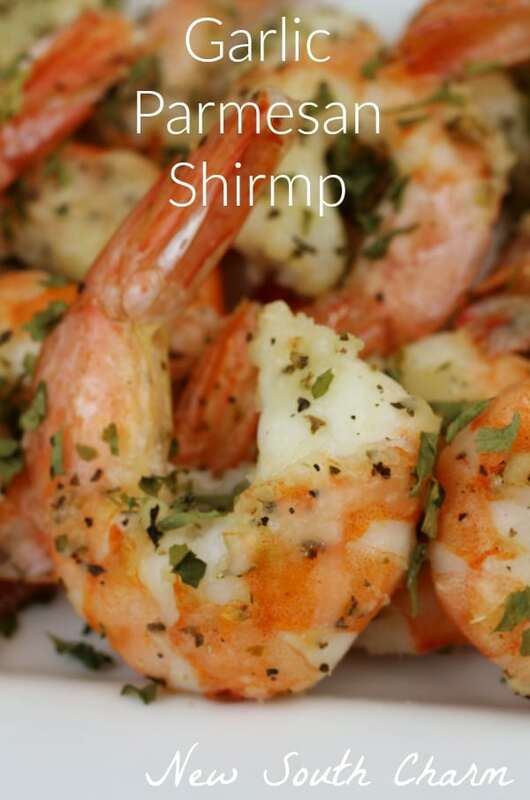 Do you use pre-cooked or raw shrimp? I’ve never made this in advance but if you choose to I would reheat the shrimp in the oven on a low temperature until heated through and warm to the touch. I hope you give these and try and that your friends and family love them! I truly enjoy your recipes! 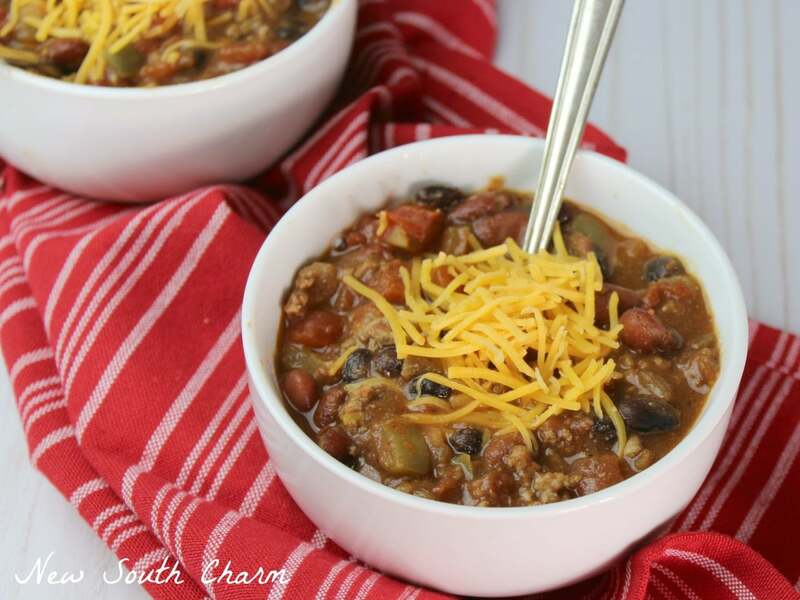 Great flavor and so easy– look forward to many repeats! This is the G.O.A.T of shrimp recipes. Whenever I make it my family goes into orbit; they lose all self-control. Yes, it’s that good. Thanks, Susanne ???? Thanks Holly! I’m glad they love it! I’m so glad you like it Melissa! This was absolutely delicious. A huge hit at our Super Bowl party. Thanks Erin! I’m so glad you enjoyed it!! We adored this recipe, a keeper for sure! !